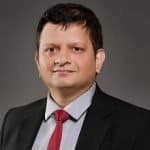 Yugal Joshi is a member of the IT services team and assists clients on topics related to mobility, analytics, digital, cloud, and application services. Yugal’s responsibilities include leading Everest Group’s cloud and digital services research offerings. He also assists enterprises in adopting emerging technologies and methodologies such as, Agile, DevOps, software-defined infrastructure. To read more, please see Yugal’s bio. GE’s search for a buyer of GE Digital, its apparent “non-core” business, and UBS’ sale of its Smart Wealth digital wealth management platform are causing the old guard to rejoice and claim that digital businesses are bogus and hogwash. Even Everest Group’s research suggests that 78 percent of enterprises fail to scale their digital initiatives, and don’t realize the benefits they envision. It is easy to naysay the naysayers. But these developments do merit a discussion. Many enterprises are investing in digital transformation initiatives, and they have a lot to lose if they don’t do it well. So, what is plaguing enterprises’ digital transformation agenda? Most of the industrial enterprises we engage with as part of our research believe that, even in the coming two decades, 80-90 percent of their business will come from their so called “core” products. Though they acknowledge that their core products are not static and continue to be increasingly connected, software-driven, and service oriented, the incremental impact on revenue is not yet clear. Their business modeling and simulations provide numbers that are sufficient to fund digital initiatives, but are insufficient to move the revenue needle. Enterprises are realizing they have overdone some of their digital initiatives. Because business impact continues to be hazy, leadership is asking difficult questions. Our research suggests that 45 percent of enterprises fail to get funding for digital projects as the decision makers and purse string holders consider them vanity pursuits. Moreover, even strategic initiatives are struggling as the return on investment horizon is becoming longer as time progresses. Leadership is losing patience. Our research suggests that 89 percent of enterprises believe digital initiatives improve customer experience (CX). However, they struggle to attribute this improvement to business success. Therefore, business success becomes a secondary metric for such initiatives. 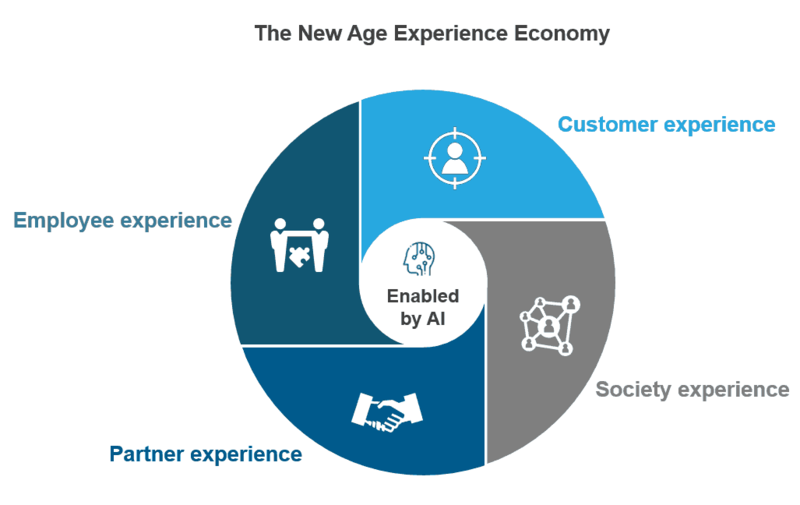 Moreover, many enterprises confuse customer service – e.g., contact centers – with customer experience, which thwarts their ability to drive meaningful digital transformation. We discuss another major reason for the gaps in digital promises versus reality in our research on digital operating models. Various enterprises assumed that digital transformation would create completely different businesses or business models for them. A prime example for comparison was about Google, a search and advertising company, getting into autonomous vehicles. Another was Amazon, an online retailer, getting into cloud services. These enterprises also assumed that they would disrupt their entrenched competition in their own and allied industries, just as Uber and Airbnb did. However, I believe enterprises need such a dose of reality in order to separate the chaff from the wheat. As tech vendors, consultants, and system integrators brand everything digital, enterprises need a solid business case for digital transformation lest they spend precious money on worthless pursuits. Enterprises’ needs of the hour are to develop a realistic digital transformation plan, rely on incubating multiple projects, be willing to fail fast, and leverage broader industry ecosystem. They must also remember that technology disruption always come with high risks. Not acting is not an option, as the cost of doing nothing significantly outweighs the initial failures your enterprise may experience. Failing today is better than becoming irrelevant tomorrow. What has been your digital journey experience? Please share it with me at [email protected]. The fundamental principle of the Industrial IoT (IIoT) outcome economy is that the customer pays for outcomes, not assets. One example is that a mining company would pay an equipment vendor for the amount of coal it mines, instead of buying the capital expensive equipment itself. Another example is a car tire company getting compensated for the fuel efficiency its tires deliver – the outcome – instead of selling the tires themselves. Both of these are already a reality in the world of IIoT. We’re seeing an increasing number of these aspirational outcome economy examples in our IoT research. Out of 150 IIoT adoption use cases, 20 percent had some element of outcome-led engagement. But we also see a major paradoxical challenge. In such engagements, the seller needs to strongly collaborate with its partners to deliver a product in an outcome model. At the same time, however, the seller needs to have a watertight contract with its customers to eliminate any type of legal liability. And yes, this, to a certain extent, equates to mistrusting customers. For example, think about a company that provides drilling-as-a-service. Under the agreement, the customer pays, say, $10 per five holes drilled. In this scenario, the drilling-as-a-service company must meticulously define in a legal contract the size and depth of the hole, the type of surface, when a hole is considered “to pay” versus “not to pay,” maintenance charges, etc. This is an extremely complex contractual engagement, as compared to the general practice of a customer buying a drill and the seller booking the revenue in its books. Use case identification: Some industrial assets are better sold under a traditional model – and some are well-capable of being delivered via an outcome-based model. Sellers must carefully examine which of their assets are appropriate for an as-a-service delivery model. Once they decide, they must educate their customers on what it is, how it works, and what its upsides and downsides are. The IIoT outcome economy holds great promise. And if the above four issues are sufficiently addressed, it can succeed. But if sellers fail to do so, and, instead, treat their customers as just consumers instead of partners in the journey, they will be doing this once in a generation opportunity a great disservice. The US Congress’ recent grilling of Facebook CEO Mark Zuckerberg led to a flurry of articles on how the “oldies” asking questions had no idea how Facebook worked or what meaningful questions to ask. Most people stated that the congressmen had zero background in technology, and were asking generic feel good questions that didn’t require incisive answers or meaningful preparation. Juxtapose this to any large enterprise in the world. Market interactions suggest that less than 5 percent have a technologist on their board of directors. Their high echelon spots are filled with management, finance, or, at best, operational executives. So, how can the board members advise or question their companies around their technology advancement? Can they conceive of or initiate discussions around the enterprise becoming a platform business? (Would they even understand what that means?) How can they critique or support such technology-heavy discussions? The obvious answer is, they can’t. Although board members aren’t required to actively build strategy for the company – that is left for the CEO and the team – they are certainly required to intervene when they see the company is losing direction or possibly isn’t doing enough. Because they have no clue about what is happening in the technology world in the digital age, they can’t ask questions around digital strategy. In turn, they can’t be fully effective in their roles. And that can spell doom for the company. In order to provide boards with what they really need to know, technologists need to up their game and focus on the business impact of technologies, not just the business case. First and foremost, they need to change their cost center mindset…something that’s been said, attempted, and failed in the past. However, in today’s environment, with digital technologies transforming, enhancing, and destroying businesses, IT has a real chance to become a force to reckon with. It needs to enhance its self-perception and treat itself as a business driver, not a support center. Though running the business activities may continue to take most of IT team members’ time, IT leaders must proactively suggest and address the change-and-transform activities. Technologists will also be well-served by investing time in learning “story telling.” Board members don’t have the time, patience, or need to understand a long-winded argument. They are interested in learning the story behind the argument, and how it helps the business. Technologists who learn to use stories will be much more adept at driving their point home. This will ensure that the board has a relook at technologists’ role, and sooner than later invite them to join the board. A board of directors’ role continues to be steering a company in the right direction. However, the days of developing a long-term strategy and intervening at exception are truly over. In the digital age, enterprises need iterative and evolutionary strategies that are dynamic and flexible enough to both respond to changing market dynamics and create newer dynamics. For this to happen, company management needs to move beyond getting members of the “old boy’s school club” on their board. It must challenge the culture of celebrating technology ignorance. And it must vigorously look for gaps in current members’ understanding of technology disruption, and whether or not they are capable of deliberating technology disruption and how the company can harness it for competitive advantage. Board members should be selected – indeed retained – only if they truly understand the business issues in today’s digital age. If they don’t, the enterprise they represent is doomed.